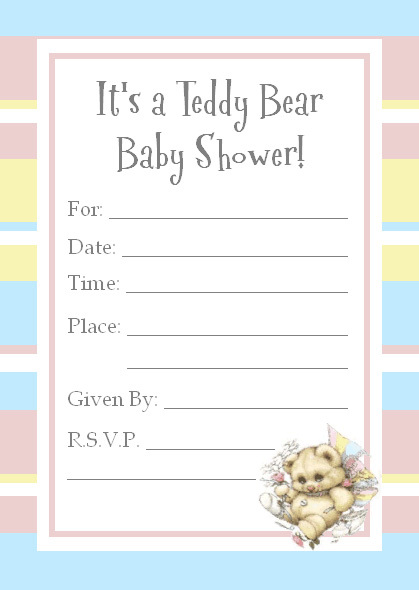 These free printable Teddy Bear invitations are cute and original! They will let your guests know that this will be a darling Teddy Bear theme and will give a warm, furry feeling to the baby shower. This invitation can be used for a baby girl, baby boy or twins. There are 3 different types of invitations below: two of them have different worded messages. 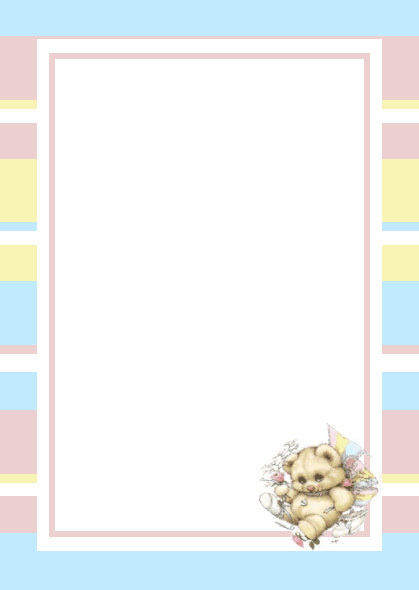 The third is a blank invitation, if you would like to print or write your own baby shower message. I hope these Teddy Bear Invitations for a Baby Shower will give you that extra help you need to plan your perfect baby shower!